Even though it was barley or corn? It was definitely whole grain. First, the Ancient Egyptians did not have corn ( Maze) even though they collectively called all their grains ” corn”. They had a grain god called Nepri in Early egypt( later incorporated with Osiris).Second, they did for the most part produce what we today would call wholewheat or whole grain flour for breads, but the upper classes prized above all, white bread so while the common man ate whole wheat, they ate bread that was more refined, ( sifted milled etc). Ok thanks for the question. what are you referring to, bread, grain or what? Thank you, this website has helped me very much with my homework. Much appreciated. Not boring either! Cool, I’m glad you found my post a help, thanks for letting me know! Great post and most informative !!! Loved all those ancient details and connections !!! Looking for information on corn in Ancient Egypt. What is the evidence that corn did NOT exist in Ancient Egypt? Is there some sort of chronological dilemma that would have NOT made it possible for them to have had corn in Ancient Egypt? What about the so called images of corn in ancient wall murals and on ceramics as suggested by Gunnar Thompson? Thanks!! ” A word that caused the deepest misunderstanding, both in antiquity and nowadays is “corn”. Today in the United States, this word denotes Zea mays, maize; in England it means wheat, an in Scotland, oats ( Browning 1960 ). I hope explain that a little. What we call corn is more properly called maize. The ancient Egyptians did not have maze. 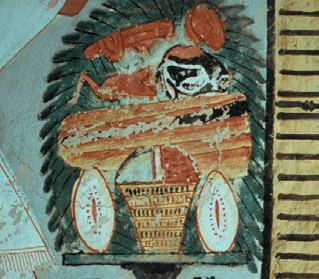 Now as to the picture or picture, first a vast majority of the depictions on tomb walls no longer are in color leaving that open to interpretation. What I could find looks to my eye ( I have given this much study and have consulted with my husband, an Egyptologist ) we think these are other plants such as wheat or even lettuce. The ” artist” just got the color wrong. Lettuce in ancient Egypt would be a good guess as what looks like kernels might just be depictions of the white sap which runs out of that ancient variety. There is so much here to read but if you look I posted in2009 when I started this blog about the wild grass that is the precursor of maize as we know it today. Hello. The “Warrior Pharaohs” episode of PBS’s “Egypt’s Golden Empires” (in the US) clearly shows a reenactment of ancient Egyptians raking through a corn harvest. The show has interviews with top scholars. Did their producers get it wrong, or has thought on this changed since 2001 (when the show was produced)? first, thank you for your interest. I watched the episodes you talked about but the reinactment showed wheat not corn. Now I did see another program, Ancient Egypt life and death in the Valley of the Kings part 1 that somewhere toward the end the show has what looks like a corn field but that is in modern Egypt. Take a look at the episode because it features British archaeologist Dr. Joann Fletcher. She gives a good account. Look up the entomology of the term corn and you will see it is a indo-europian term for wheat, barley , and type of grain. Maze( corn) is from the new world and only found east after Columbus. The ancient Egyptians grew Emmer as their main crop along with Barley. Bon Appetite has an interesting account on the etymology of the word. I just read that the word Aish means “life” in the ancient Egyptian dialect, and then found a recipe called Aish Ba’ladi, a certain kind of local or whole wheat and barley country bread. Can you tell me if you think that there is any correlation between the word Aish (“life”) and the Hebrew word Aish (meaning “fire”)? Does this word Aish have another meaning in Egypt that also means “fire” in some way? Thanks for the question. I’m going to have to get back to you on this one. My husband is the resident expert on such matters. He will need to consult text first so I’ll let you know as soon as I’m able. Para mi, este es muy interesante. La comida es una cosa que la gente tienen en común por todo del tiempo, entonces civilizaciones diferentes han tenido crear dietas diferentes, dependiendo en cual comidas que tenían acceso a. En este lugar, Egypt, el pan fue muy importante porque la tierra era muy fértil y había agua en el río que pudimos usar. Porque no había supermercados, el proceso de cocinando el pan fue increíble. Para mi, es muy interesante que la gente puede hacer cuando necesita comer y beber. También, los hornos fueron muy increíblemente hermosos. Eso es un ejemplo de personas que tenían mucho orgullo en su oficio. Finalmente, me gusta mucho que había métodos de cocinado diferentes dependiente en el lugar. 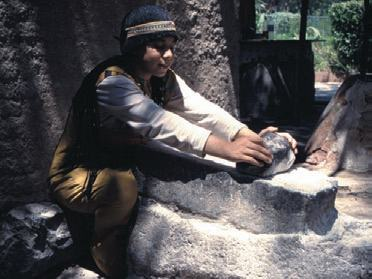 Por ejemplo, en Giza, necesitamos mucho pan porque había muchos hombres que fueron trabajando en los pirámides todos los días. El método aquí fue producir tanto pan como fue posible. muchas personas en lugares como Egypt tenían trabajos muy específicos en el mundo de pan, y comida que fue muy importante. Thank you for the inside and comment. I had to translate your text, so it took me awhile. I think I have my love of bread from the ancients including Egypt where it was and is so important . Very informative, and yet reading some of the comments disappointing It seems beyond some people’s imagination that everything we have NOW wasn’t in play in the ancient past,,,IE such as mass commerce of good globally, the assumption that “everything grows everywhere”. There seems to be a disconnect in common sense that scares me. I thank you for taking a calm hand to patiently hold their hands and walk them through the slow process of learning. Kudos to you and please continue your work and research, it was very eye opening.. Thank you for your support…I do indeed know of which you speak. I am doing a project on ancient Egyptian foods and this was one of the foods I researched and this really helped!